The High Court of Justice denied a petition on Wednesday that had been filed by the residents of the West Bank Bedouin village of Khan al-Ahmar and gave the state the green light to evacuate the entire village. The village had been built on state-owned land and its houses were constructed without permits. 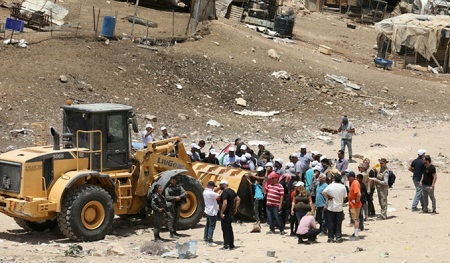 Khan al-Ahmar had been slated to be evacuated last month before the eviction of its residents was halted by the court to consider the petitions. Justices Hanan Melcer, Yitzhak Amit and Anat Baron said the main issue in the case was not whether the eviction could be carried out, but where the residents would be relocated. In turning down the petitioners, the court also rescinded the temporary injunctions issued in July that had barred authorities from proceeding with the evictions. Justice Melcer added, however, that unlike the eviction of Jewish residents of the illegal outpost of Amona last year, which proceeded as soon as it was ordered, in this case, no immediate eviction was required, and a future date could be set at the government`s discretion. Technically the ruling allows the state to evict the villagers within seven days. Wednesday`s court session discussed a petition against the wording of the eviction order and one claiming the Israeli Civil Administration had not examined the residents` request to legalize the village, which was filed shortly before the appeal. Justice Amit called the court`s earlier ruling permitting the evacuation of the site the starting point and the finish line, adding: The main petition is an attempt to reopen a final verdict, which is sufficient to have it rejected out of hand. Amit also rejected the petitioners` request to delay the eviction until they find somewhere else to live, and referred to the Amona case as precedent. Criticizing the Bedouin`s decision to reject the state`s offer to resettle them at a West Bank site near the sewage treatment plant in the vicinity of Mitzpeh Yeriho, Amit said: We should lament the petitioners` quick rejection of the new alternative, before an in-depth examination. It is difficult to be impressed by the petitioners claim that the state has failed to provide a solution, Amit said, when they themselves persisted in maintaining things as they are. He also criticized the claim that the land does not belong to the state, as the petitioners failed to prove it was privately owned land. 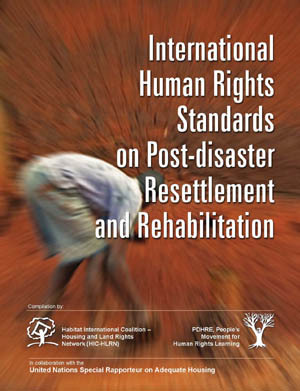 In July, a high court justice issued a temporary injunction on the eviction and demolition of Khan al-Ahmar following the petition and after criticism from member countries of the European Union. Khan al-Ahmar is also home to a school that attracted international attention as it was initially constructed of tires. Following the ruling, Defense Ministry Avigdor Lieberman wrote: Khan al-Ahmar will be evicted! I commend the high court justices for a brave and necessary decision in the face of the hypocritical attacks orchestrated by Abu Mazen [Palestinian President Mahmoud Abbas], the left and European countries. No one is above the law. No one will prevent us from exercising our sovereignty and responsibility to the state. Reacting to the court`s decision, Joint List Knesset member Dov Khenin called it a major injustice that should outrage any person of conscience. He noted that the residents of Khan al-Ahmar had relocated to the site after being expelled in the 1950s from the Negev, and now they are facing forced expulsion again. Khenin said the expulsion is also an obstacle to peace with the Palestinians. A major and dangerous annexation plan designed to create a continuous string of settlements from Jerusalem to Jericho, to cut to West Bank in two, preventing the establishment of an independent Palestinian state alongside Israel, to prevent the possibility of achieving Israeli-Palestinian peace is behind the demolition. UN Middle East envoy Nickolay Mladenov tweeted Wednesday that Demolitions undermine prospect for two state solution and are against international law. For its part, the Palestine Liberation Organization called the eviction of the residents of Khan al-Ahmar a war crime and a flagrant violation of international law and every international convention. In a statement issued through the official Wafa news agency, the PLO called the ruling by the High Court of Justice a political decision and called for international intervention to stop Israel from continuing its conduct without any regard for international law. The ruling proves that the Israeli judicial system is subject to political influence, the PLO said, adding that the international court must therefore intervene and launch an investigation against Israel. Photo on front page: The nine sitting judges of the Israeli High Court of Justice, 1 April 2014. Source: Oren Ziv / Activestills.org. Photo on this page: Village resisting Israeli bulldozer in Khan al-Ahmar, West Bank, 12 July 2018. Source: Emil Salman.